Last week I had a chance to visit Bangkok on the way back from an IT conference in Phuket. And while it’s hard to focus on startups and entrepreneurships during a time of political crisis, I decided to push on and speak with some local leaders in the tech space while I was there. Thailand is, of course, a country to be reckoned with when discussing global social media trends. The market has a great impact on the industry as a whole, with the country representing the world’s second largest user base of the Line messaging app. Many foreign entrepreneurs, including Japanese ones, have launched startups right here. BuzzCommerce’s Shinsuke Wakai is one of these entrepreneurs. For over ten years, he has been working with local people and businesses in Bangkok. He launched a cosmetics-focused buzz media site called Cosmenet four years ago, and has assisted cosmetics brands from the West, Thailand, and Japan market their products among local consumers. 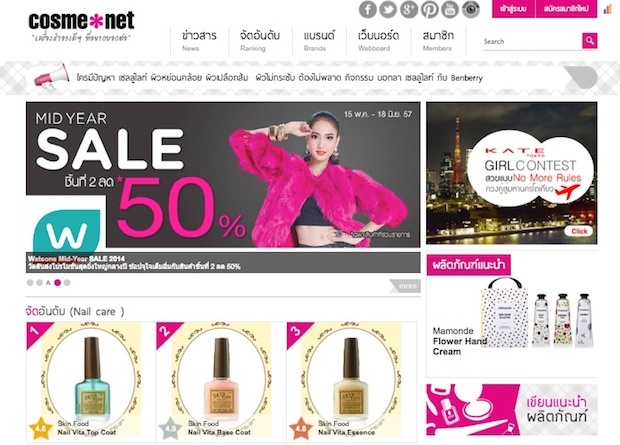 Cosmenet is very much Thailand’s answer to @Cosme, the Japanese cosmetics online giant. Brands in the cosmetics industry have been heavily dependent on mass media (e.g. TV commercials and magazines) for their promotional activities. But many have turned to Cosmenet as a means to reach out to potential customers in a more efficient way. Wakai feels that a media site should provide a neutral perspective to readers, so he has refrained from selling cosmetics on Cosmenet. 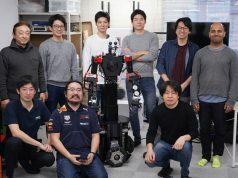 But since many of the products introduced on the site are difficult to purchase in the city, his team has been receiving frequent inquiries about where to buy them. So Wakai decided to develop an e-commerce site specifically focused on selling cosmetics from outside Thailand to young local women. It’s called BuzzCommerce. When you import and sell cosmetics, you typically are required to get approval from the food and drug administration in that country — and as you might expect, that takes time. 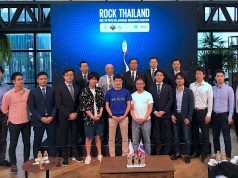 But Wakai’s partner has helped a Japanese drug store chain import products to Thailand, so she is quite good at the requisite paper work, and that has accelerated their business’s launch. In Thailand, we’ve already seen several notable e-commerce sites like Tarad (by Rakuten) and WeLoveShopping (by Thai telco True, inspired by Tarad). However, the majority of e-commerce deals in the country are typically traded between consumers directly using Facebook or Instagram. On BuzzCommerce, whether young women take to their service will make or break the business. The company recently raised an undisclosed sum from East Ventures, and Wakai is now completely devoted to developing the e-commerce site. If all goes as scheduled, the web version will be launched by the end of June, with mobile apps will follow in August or September. On a related note, many of you may recall that Singapore-based cosmetics e-commerce site Luxola raised from several investors earlier this week. 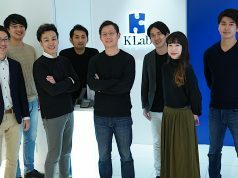 In the Asian region, we’ve seen many other subscription-based cosmetic e-commerce services, as well as vertical buzz sites like Fashionguide in Taiwan. Rocket Internet had been rapidly launching e-commerce services in the Asia region, but they have no portfolio company focused on this space after they sold GlossyBox to VanityTrobe in February of last year. I understand that this left market opportunities in the cosmetics industry in the region, which perhaps leaves room for BuzzCommerce to expand business beyond from Thailand if all goes well.